The main reason people put a trip to Europe on the back burner is finances. Visiting tourist hotspots like Venice, Paris, and London can easily drain your savings account in just a few days. If you’re still set on traveling to Europe but aren’t a multi-millionaire, then you’re in luck. While you might not be able to stay in major cities on a shoestring budget, there are plenty of “off the beaten path” destinations where you can enjoy incredible spending power. In the list below, we’ll go through eight cheap places to travel in Europe. Make no mistake, just because these destinations are inexpensive doesn’t mean they aren’t full of the high culture, soaring architecture, and delicious cuisine you’d expect from a European vacation. 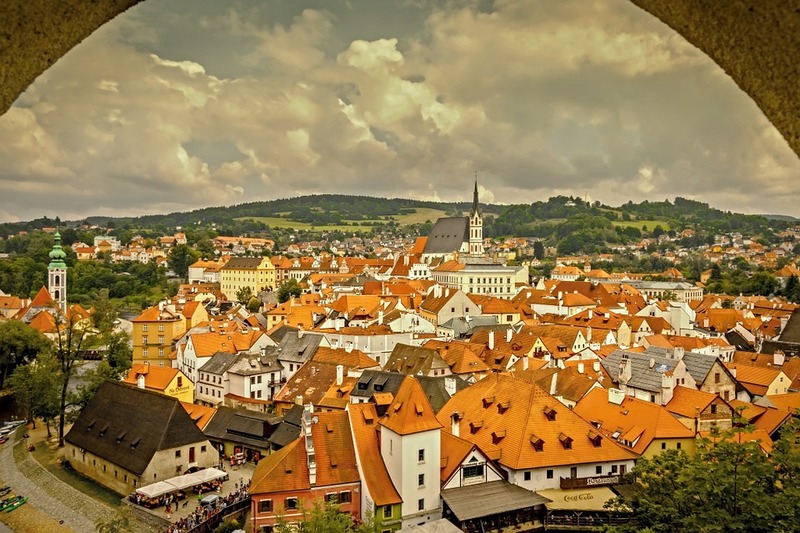 We’ll start our list of the best cheap places to travel in Europe with the Czech city of Český Krumlov. Located in Southern Bohemia, Český Krumlov is slowly becoming a day-trip destination for foreigners who want to flee the crowds in Prague. The top attraction in this well-preserved town is the stunning Český Krumlov State Castle and Chateau. You can also take a ride on the Vltava River or just relax with a pint of beer at one of the town’s numerous pubs. Each year more and more tourists are discovering the charms of this town, so be sure to book your trip before it gets too crowded. Sarajevo is the first of many capitals on our list of cheap places to travel in Europe. This capital of Bosnia and Herzegovina is chockfull of historical gems. Besides hosting the 1984 Olympics, Sarajevo is best known as the city where Archduke Franz Ferdinand was shot in 1914. You can find two markers in the city for this tragic event on the Latin Bridge and on a building next to where the assassination happened. A few other incredible places to visit here include the Sacred Heart Cathedral, the Old Bazaar, and the White Fortress. Without a doubt, Sarajevo is one of the best budget travel destinations for history buffs. Another capital city on our list of cheap places to travel in Europe is Lisbon, Portugal. 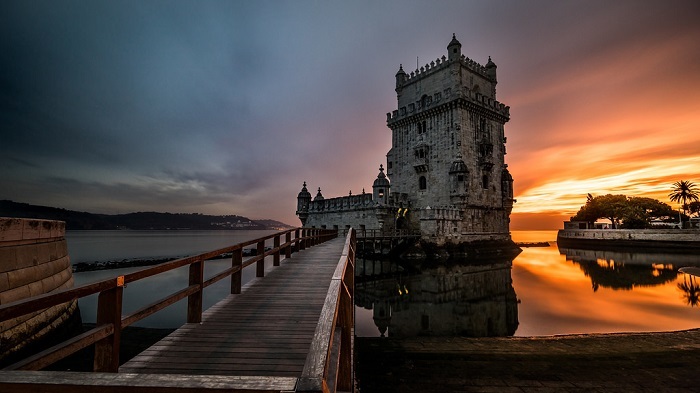 Over the past few years, Lisbon has been able to revitalize its economy with heavy investment into its travel infrastructure You’ll find plenty of affordable hostels, hotels, and restaurants throughout this significant port city. A few interesting places to visit include the Igreja do Carmo ruins, the National Art Museum, and the National Pantheon. Definitely take a ride on the local tram and relax at a restaurant with live fado music while you’re here. Saint Petersburg is arguably the most aesthetically pleasing city on earth. Famously built by Russian Tsar Peter the Great using European models, St. Petersburg is home to the world’s largest art museum: the Hermitage. In addition to great art, St. Petersburg has many glorious churches, theatres, and palaces. Try to visit during the summertime so you can take a boat tour down the Neva River. The exchange rate between the Russian Ruble and the USD is favorable, plus St. Petersburg is considered more tourist-friendly than Moscow. 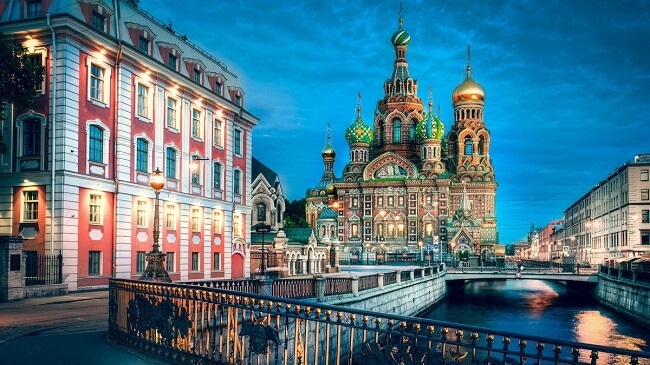 So, get over your irrational fears about Russia and book a flight to St. Petersburg right now! 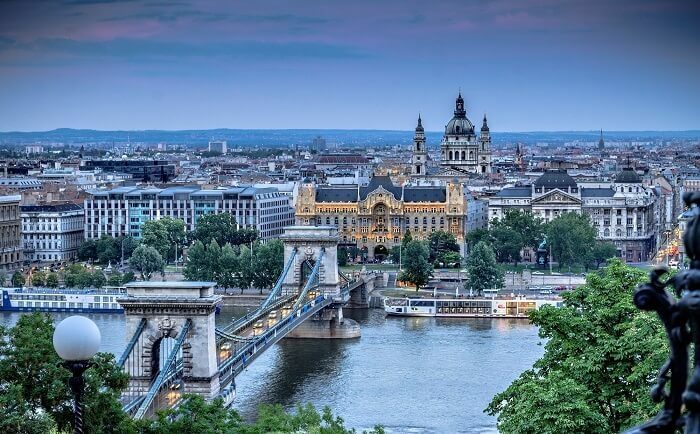 Hungary’s capital city is sometimes referred to as the “Paris of the East.” Indeed, as you walk around Budapest’s grand boulevards, sip a cup of coffee in a café, and marvel at the impressive architecture, you might feel as if you were in the French capital…only you’ll be spending a fraction of the cost! Budapest is one of the youngest capitals in Europe, which gives this city an electrifying energy and a hot nightlife. Besides touring the many museums and cathedrals here, be sure to slip into your speedo and take a dip in Budapest’s thermal baths. At the end of the day, sit back and listen to one of the many high-quality classical music performances in the city. Although Warsaw is the political, financial, and cultural center of Poland, it doesn’t get as much tourism as the city of Kraków. 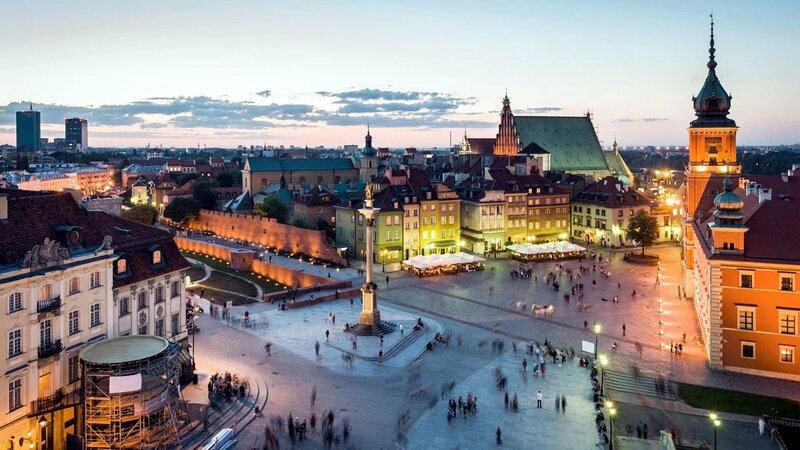 Yes, Warsaw is an economic hub with tons of business people, but that shouldn’t put you off from visiting this historically rich city. As you might already know, most of Warsaw was bombed in World War II. Amazingly, locals re-built the Old Town within only a few decades. The most popular attraction in the Old Town is the Royal Castle, which you can visit most days of the week. A few other important sites to see include the Church of the Holiest Savior, the Warsaw Uprising Museum, and the Museum of King Jan III’s Palace. Plus, if you ever want to see Kraków, it’s only a four-hour drive away. 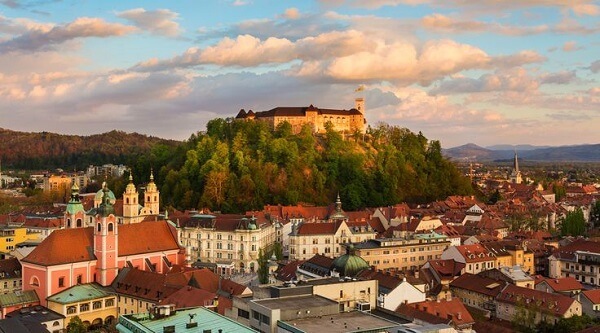 Out of all the capitals on this list of cheap places to travel in Europe, the one name you’ve probably never seen before is Ljubljana. Pronounced “lyoo-blah-nah,” this Slovenian capital was built to resemble two of Europe’s more famous cities: Vienna and Venice. With a history dating back to Roman times, you’re sure to find tons of interesting archaeological gems here. There are also plenty of art and film museums to keep you occupied for at least a few days. Most travelers to Ljubljana enjoy taking a boat ride or just strolling around this city’s impeccable streets. Ljubljana is a wonderful way to get a feel for Venetian life without having to pay Venetian prices. 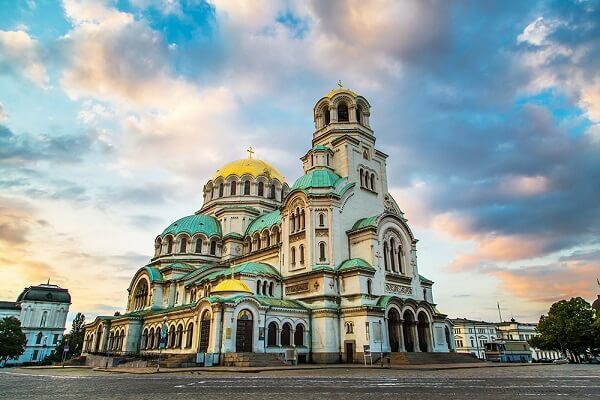 Last on our list of cheap places to travel in Europe is Bulgaria’s capital Sofia. This extremely old city has one of Europe’s greatest history museums: The National Historical Museum. This city is filled with harsh Communist architecture as well as ornate Orthodox cathedrals like the Cathedral Saint Alexandar Nevski and the Saint Nikolas Russian Church. Sofia also has great skiing opportunities on the nearby Vitosha Mountain. To orient yourself around this city on a budget, definitely consider booking a Free Sofia Walking Tour. A fabulous European getaway doesn’t have to cost you millions of Euros. Any of the above European destinations are well worth your time and hard-earned cash. Not only will you see some of the world’s finest art and eat incredible food in these cities, you also won’t have to worry about breaking the bank back home. Be sure to keep these European cities in mind when you’re planning your next vacation.